As part of our continuing coverage of the VMworld Conference in San Francisco, SiliconANGLE’s theCube took their show on the road to AT&T Park, home of the San Francisco Giants. The venue hosted a NetApp Customer Event. Wikibon’s Dave Vellante welcomed Jim McHugh and Adam Fore to talk about the near history and future of converged infrastructures. McHugh, VP Product and Solutions Marketing for Cisco, commented how converged infrastructure was seen as a common goal between Cisco and NetApp because it promised to change the whole model of compute as we knew it. And that prediction, in light of their over 2800 customers with a growing partner base, was a very smart bet. In only the last year, they have reaffirmed their vision by announcing a 3 year plan going forward to advance the technology. Fore, Virtualization and Cloud Solutions Marketing at NetApp claimed they are currently identifying new markets and environments they can work in. Though it seems not long ago, Cisco clearly caught the market at a transition where compute and networking were coming together. It was, as Fore mentions, the game changer that we now know as converged infrastructure. Where applications are concerned, Fore stated they want to build out a virtualized converged architecture with multiple tenant environments and multiple applications. As he stated, “It’s less about building a silo but more about building a shared environment that can support different items.” They then can be utilized by multiple independent customers. McHugh continued, stating Cisco’s model was what they call Cisco Validated Designs which are built with NetApp storage. It is designed to work with multiple platforms. Cisco identifies the stack best suited to run their design and then they test it all the way down to every element of the architecture. Discussion next delved into the issue of HyperV. Vellante remarked it was only in 2010 HyperV started getting notice but that even then, as basic as it was, it was known it was going to improve and improve quickly. According to Fore, the HyperV platform was designed to support all platforms, either virtual or bare metal, and can run simultaneously. The NetApp FlexPod is at the heart of the NetApp product line and has even been adapted to deal with Big Data in their new FlexPod Select, designed especially with Analytics and Hadoop in mind. They had to produce a select design because these infrastructures have strict protocols that must be followed. The discussion ended focusing on Hybrid Cloud implementation. According to McHugh, the definition behind that term has to change to convey its true benefit. A true Hybrid Cloud will be able to support several different apps across many platforms and devices. The overall goal will be to recognize the customer’s need and then provide what they are asking for. Fore went on to say that the move to Hybrid Cloud or Hybrid IT environments still has many challenges before it. However, he states once they are addressed, a much faster implementation will occur. 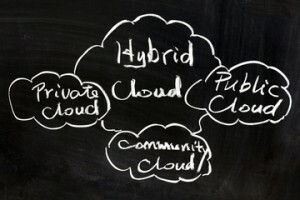 McHugh commented the first three years of Hybrid Cloud was simply making people familiar with it. The next three years, however, will show customers the full range of flexible products available to them with Hybrid Cloud implementation. SiliconANGLE’s theCUBE is broadcasting live this week from the VMworld Conference in San Francisco. Be sure to join us live or watch any of the rebroadcasts on our YouTube channel.